Infinix Zero 4 is the 2016 Flagship smartphone from Infinix Mobility, and the successor to last year’s Zero 3. Infinix Zero 4 might be the last lead Infinix will dispatch for this year 2016. Zero 4 runs on Android 6.0 Marshmallow Chameleon XOS v2.1.0. 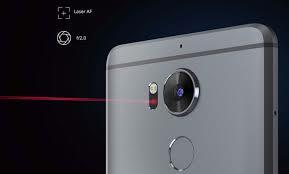 It comes with premium features such as Fingerprint scanner, Accelerometer, Gravity sensor, Proximity sensor, Compass and the amazing Battery Life, 16+8MP camera with OIS feature, powered by MediaTek Helio X20 Octa-core processor, 3GB RAM, 32GB internal storage plus micros SD Card support, and lots more. I know you will like to root your exceptional Infinix Zero 4 X574, probably because you want to explore more, but the latest OS, Android M is very stubborn when it comes to rooting, because the popular and easiest apps such as Kingroot, Vroot, Framaroot, Tecnoroot, Rootgenius etc., seems not working for it. The below tutorial will guide the Infinix X574 (Zero 4) users to install TWRP Recovery and Root their Smartphone. After rooting your phone, it’s advisable to unroot before performing an OTA update or restoring factoring settings. We have a comprehensive guide on that here. It is simple as that. You may download Root Checkerfrom Play Store to verify your root privileges. After downloading, simply Install Root Checker, run it and you should get a success message after then.